We are talking about a marvelous world of connected homes, cities, and appliances that are straight out of a sci-fi flick but have somehow become an acceptable reality. This is the ultimate power of technology. It runs and governs our lives, as it never did before. From some very intimate personal gadgets to home security and from weather predictive systems to whole cities running through the technology of Internet of Things, we are living in wonderful times. Here is a look at some of the devices, which have brought about the promise of fantastic beginnings and a life that is optimizable at its very core. 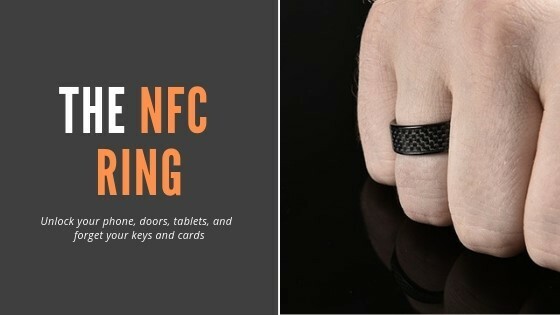 Out of so many other home enhancement gadgets, Ring is the one that is the most comfortable and easy to use. It does exactly what any futuristic doorbell should, other than ringing that is. Because an infrastructure of IoTs always keeps you connected, this device works regardless of your presence at home. You can communicate with whoever is at your doorstep, from inside and outside the premises of the house. There are motion detectors in place that keep a check on any activity outside your door even before someone presses the bell’s button. The cameras and microphone capture and record video footage as well as letting you communicate to whoever is on the other side in real time. Talk about security, ease, and connectivity, all in one! Everyone remembers Will Smith’s “IRobot”. 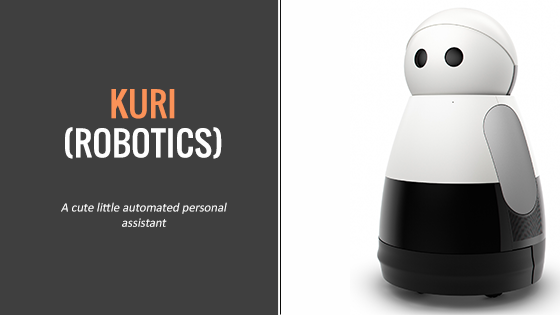 Kuri is nothing as damning as the killer robots in the flick. It is sort of like a cute little automated personal assistant, which interacts with family members, uses sensors to map out the house for easy movement, with cameras, speakers and microphone, and hands-free. It gives you access to music playing, audiobooks, and other web content. Moreover, you can take pictures and video automatically, which is excellent for working parents and for family far away so that they can all stay connected with each other. A rather different innovation, this tech is only available in Taiwan, catering to the Buddhists right now but has the potential of traveling to other parts of the world. 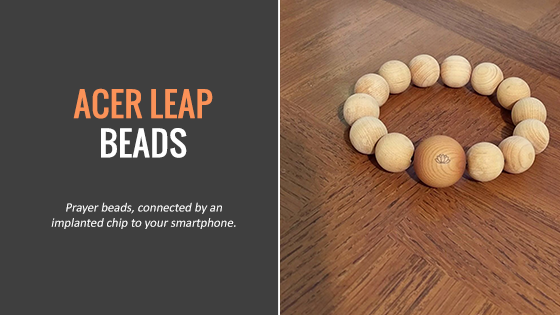 These are essentially prayer beads, connected by an implanted chip to your smartphone. They remember the number of times someone repeats a mantra or an incantation. They are also supposed to be able to make donations and payments in the future, which will electronically transfer to stores and accounts of companies that will be responsible for their production. Though not very practical, they still are a cool addition to the more unusual side of smart devices. One device that does it all is a solution that we all require. Life is changing fast and so solutions to ever-rising troubles should come equally quick. 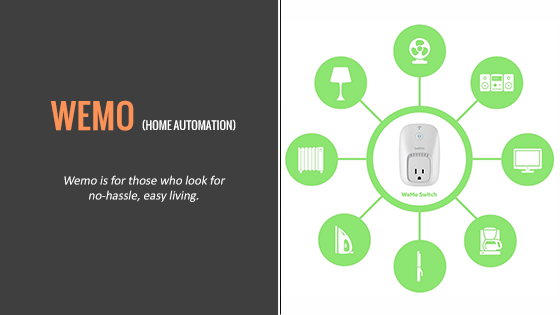 Wemo is for those who look for no-hassle, easy living. It includes the security of your space, power plugs, with a chance to juggle between dimming and completely turning off the lights. It’s affordable and uncomplicated. If you’re new to the automated living, Wemo can help give an efficient solution. Fully automated cars are not a dream anymore. Older cars may lack many of the cooler features that smart cars nowadays carry but if you by chance own a Ford, you can dabble in some of the sweetness. If your car dates back to maximum 2007, you can attach a dongle-based device to the diagnostics switchboard, which can facilitate many smart features. You can connect through Wi-Fi, have complete information about the health of your vehicle and manage locking/unlocking of your car. 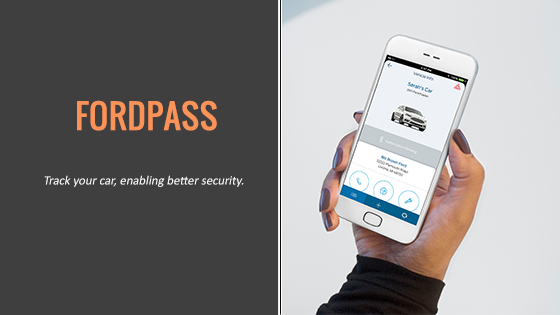 You can also track your car, enabling better security. Your house, it’s completely smart and automated but just imagine for a moment, you forgot about the lights. There’s no need to worry. 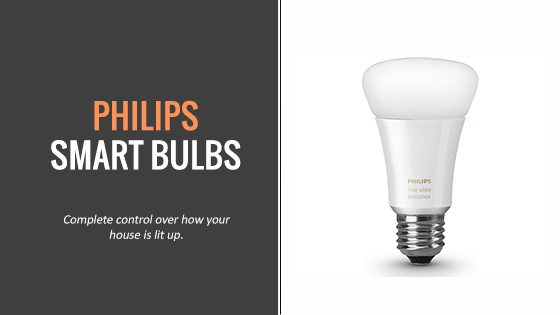 Philips Hue lighting range gives you complete control over how your house is lit up. From harsh to soft hues, Philips has the perfect solution for every connected home. Another plus is that it connects to the hub inside a smart home, through systems like Amazon Echo. All you need is an up and running internet check FiOS frontier deals if you wish to switch from the one you already have. Sticking to the lighting, we have another cool gadget. The NanoLeaf is a surely a fun device. You can use these light panels in the ceiling or the wall. Not very practical and definitely not an absolute necessity, they do make a great addition to the decor and interior of your room. You can connect them to your smartphone through an app. They can light up in various colors and have the ability to change with the beats of your favorite song. 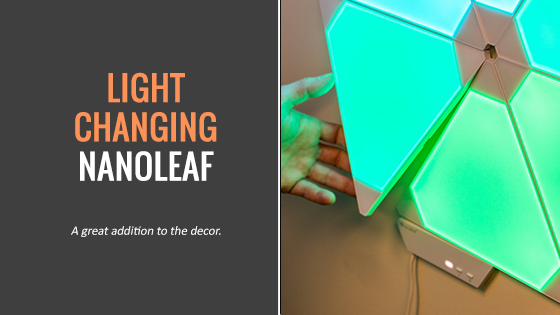 NanoLeaf panels are compatible with Google Home, Alexa and other such systems. Rachio 3 is a smart IoT that gathers weather data and determines if your lawn needs watering or not. The device is connected through Wi-Fi and comes with its own app. All you need is a steady internet connection. 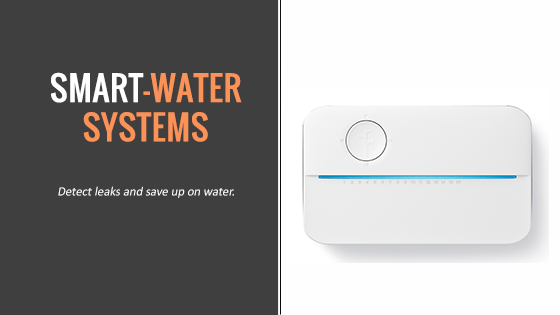 You can even detect leaks and save up on water. This is exceptionally good since water is a precious commodity in all parts of the world. Rachio can also completely shut down the water system if there is the possibility of any damage. We sometimes do not want our kids to be lost in smartphones or tablets all the time. However, keeping an eye on them is necessary, as we can’t always be there to watch over everything. Relay walkie talkie comes with a smart twist in comparison to the older usual ones. 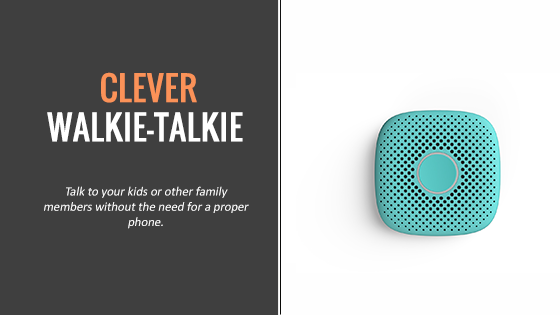 It connects through the LTE bandwidth and you can talk to your kids or other family members without the need for a proper phone. You need an app to connect Relay with devices and it is all preset. You need a good lock whether you travel a lot, go to the gym and need to keep your belongings secure or go to the university and need some extra protection along the way. With all the bigger innovations that are appearing on the radars these days, it’s the smallest ones that become an absolute go-to. 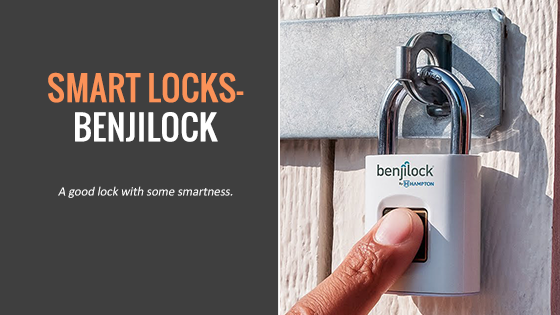 Benjilock is one such device which caters to the needs of all those who love a good lock with a touch of smart-ness. It comes with a key just as a traditional lock does but it also unlocks with biometrics. The key is also not just any key. Designed for your lock only, this increases the security, thereby making sure that no one but the key holder can open it.